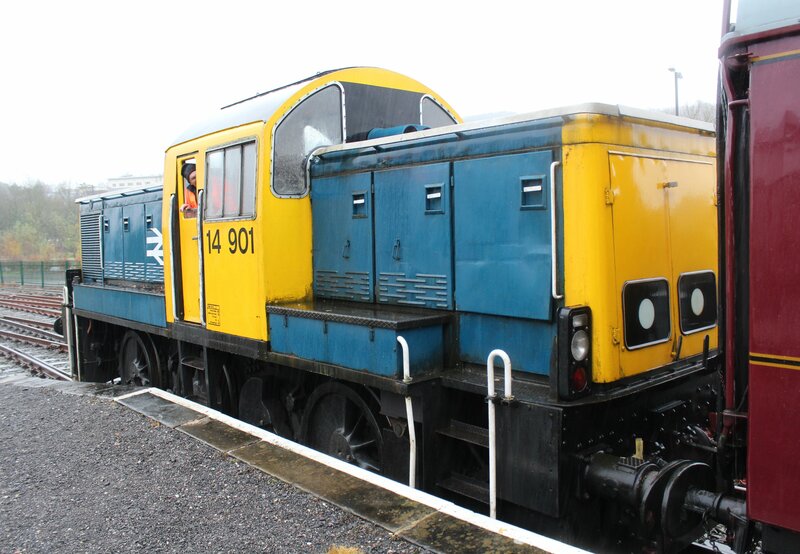 14901 is unique amongst members of its class. It is the only one to be powered by a Rolls-Royce DV8TCE power unit that generates 640bhp at 1800rpm, with other members using a Paxman 6cyl 6YJX Ventura V-type turbo-charged engine. It was re-engined by BP Grangemouth. It also has a unique TOPS number and livery. It’s number and BR blue livery are fictitious as the class were all withdrawn pre-TOPS. Indeed, the 1964 built locomotive only worked with British Railways until 1969, numbered as D9524.. The number was given to the locomotive in 1991 and to be fair has carried it longer than any other in its career. The blue also makes it rather unique and suits it well in my opinion. Much is said about the wastage of steam locomotives during the 1960’s but not so much about much about the needless resources put into some of the diesel locomotives that followed. Many types were untested and didn’t perform so well, but the class 14 was not one of them. 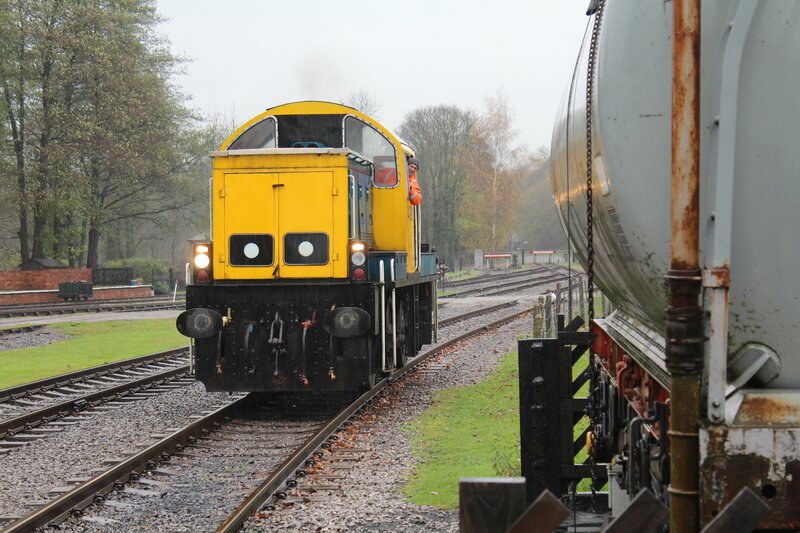 It’s short life was down to it being designed for short trip workings, transfer freights and yard shunting – duties for which there was a much reduced requirement when they had been built. However, that being said, most of the class soon found private owners and remarkably 19 have survived of the 56 built with two even being used to help build the Channel Tunnel! 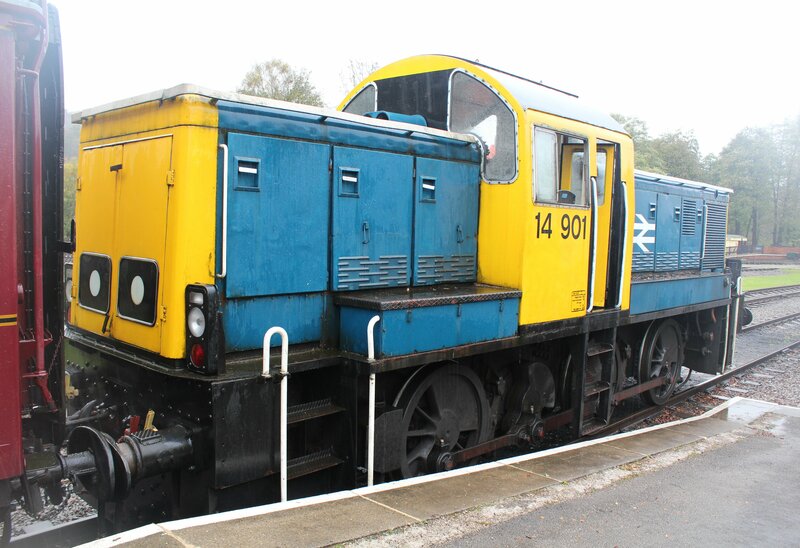 Regular readers of this blog will know that my favourite DMU class is the Hastings “Thumper” Unit class 205, but probably don’t know that my favourite shunter is the class 14. I have fond memories of seeing them on the Kent and East Sussex Railway as a child in the 1990’s. Capable of running at 40mph, they are particularly useful on preserved lines. 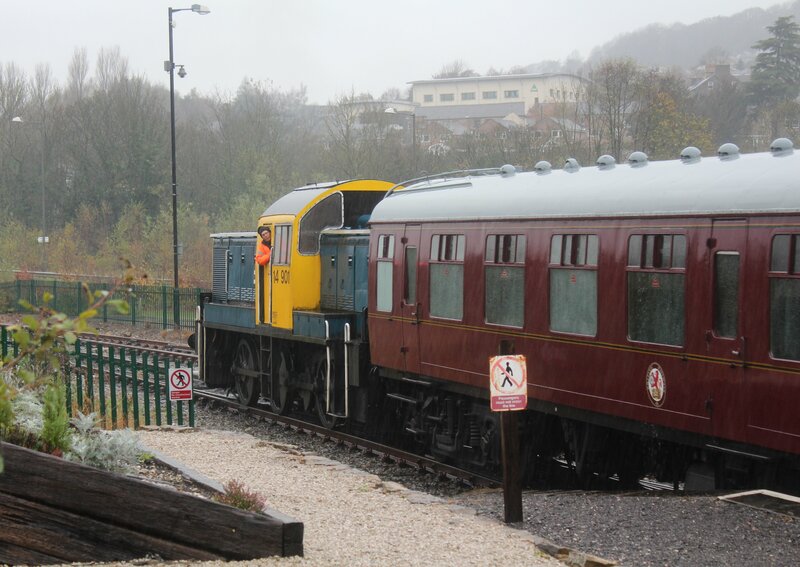 Passenger services are restricted on heritage lines to 25mph and they can therefore keep to a timetable better than the far more numerous class 08 that is only capable of 15mph. Interesting addition of modern light clusters! Pinched from a 150 maybe..
Well this quite literally the Rolls-Royce of class 14’s, so not surprised that the lights have been upgraded! Just done a little research and apparently the lights were from quarry excavators. Interesting stuff! Hi, thanks for the corrections, they’re always welcome as mistakes inevitably creep in on occasion. I’m not sure why I renumbered the loco in the other post, but the info on the lights was from elsewhere on the web. PS Thanks for the work you and your colleagues put in to keep this loco alive. My wife and I very much enjoyed our day!